Prime Minister NarendraModi on February 15, 2019 flagged off India’s first Semi High Speed Train, ‘Vande Bharat Express’ on New Delhi-Kanpur-Allahabad-Varanasi route from the New Delhi Railway Station. Prime Minister NarendraModi on February 25, 2019 dedicated the National War Memorial to the nation in a solemn ceremonial function in New Delhi. The Union Minister of Human Resource Development, Prakash Javadekar on February 20, 2019 launched the ‘Operation Digital Board’ to boost quality education in the country. The Union Cabinet on February 19, 2019 approved the National Policy on Electronics 2019 (NPE 2019), proposed by the Union Ministry of Electronics and Information Technology (MeitY). Prime Minister NarendraModi on February 11, 2019 inaugurated the 13th International Oil and Gas Conference – PETROTECH-2019 at India Expo Centre in Greater Noida, Uttar Pradesh. The Prime Minister also addressed the inaugural session of the event. The Union Ministry of Environment, Forest and Climate Change on February 12, 2019 released a publication titled “India – Spearheading Climate Solutions” on climate actions in India. The publication mentions the key initiatives undertaken by India under various sectors towards combating and adapting to climate change. It not only highlights the achievements towards climate action but also showcases Government’s preparedness for future. Prime Minister NarendraModi on February 9, 2019 launched a dedicated 24×7 Satellite channel, ‘DD Arunprabha’ for Arunachal Pradesh during his visit to Arunachal Pradesh, Assam and Tripura. The Union Ministry of External Affairs has confirmed that during an aerial engagement with Pakistani fighter jets on February 27, 2019, India lost one of its MiG-21 aircraft. The fighter jet was shot down in Pakistan-occupied Kashmir and its pilot, an Indian Air Force Wing Commander was taken into custody by Pakistan. The incident occurred when the Indian Air Force swiftly responded to Pakistan’s attempt to target its military installations along LoC and shot down one Pakistani fighter aircraft, F-16. According to sources, at least ten Pakistani fighter jets were seen heading for military targets along LoC but they were forced to retreat without causing any damage in India. In retaliation to the deadly Pulwama terror attack, the Indian Air Force fighter jets crossed the line of control in the early hours of February 26, 2019 and attacked Jaish-e-Mohammed terror camps in Pakistan occupied Kashmir. 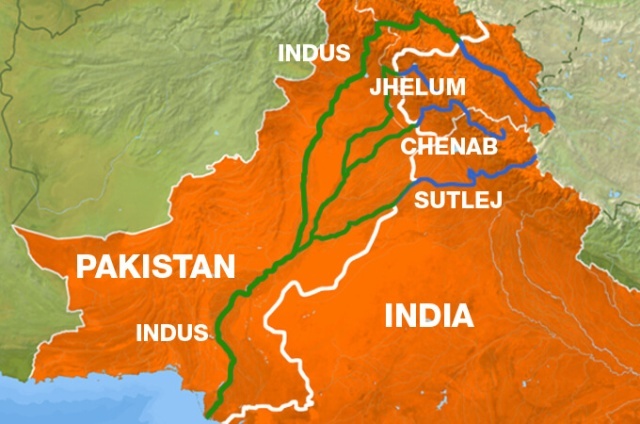 Union Minister of Water Resources, River Development & Ganga Rejuvenation, Nitin Gadkari on February 21, 2019 announced the Government’s decision to stop the flow of river water to Pakistan and divert water from Eastern Rivers to Jammu & Kashmir and Punjab. The decision came as a response to the devastating terror attack in Pulwama, Jammu & Kashmir that killed over 44 Indian paramilitary police officers.